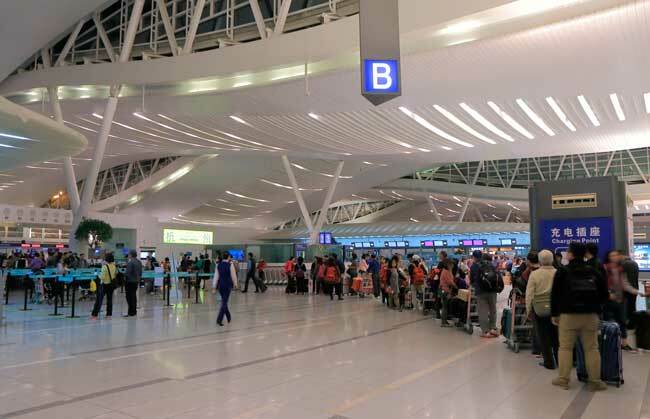 Use this website to quickly find the most useful information about Hangzhou Xiaoshan International Airport: Arrivals, Departures, Terminal information, Parking, Car rental, Transport, Accommodation, Amenities and Services, among other information. Plan your travel to HGH airport with the information provided in this site. 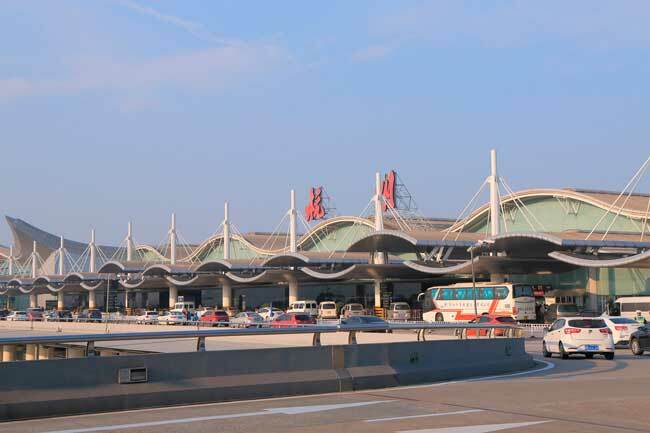 Hangzhou Xiaoshan International Airport (IATA: HGH, ICAO: ZSHC), is the major and single international airport serving the Chinese city of Hangzhou, which is the capital of Zhejiang province, located in the Yangtze River Delta Economic Zone. It is located at 27 kilometers east of the city centre of Hangzhou. Hangzhou Airport is a hub for the following airlines: Air China, China Eastern Airlines, China Southern Airlines, Hainan Airlines and Xiamen Airlines. Hangzhou Airport is the major and single international airport serving the Chinese city of Hangzhou. 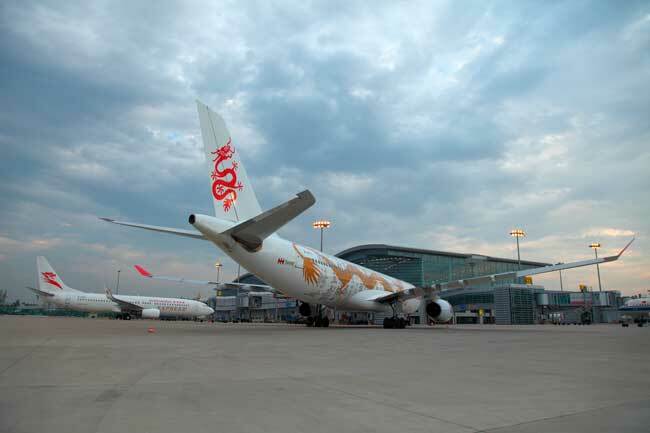 Hangzhou Airport serves flights to both east, southeast and south Asia, Europe and Africa. Hangzhou Airport has two passenger terminals: The Intetnational Terminal A and the Domestic Terminal B.
Hangzhou is the capital and the largest city of the Zhejiang province. 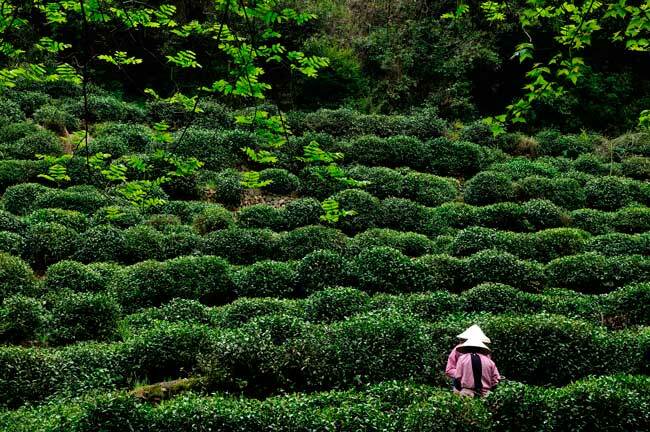 Hangzhou is home of the Longjing tea fields, where the world-famous Longjing tea has its origins. 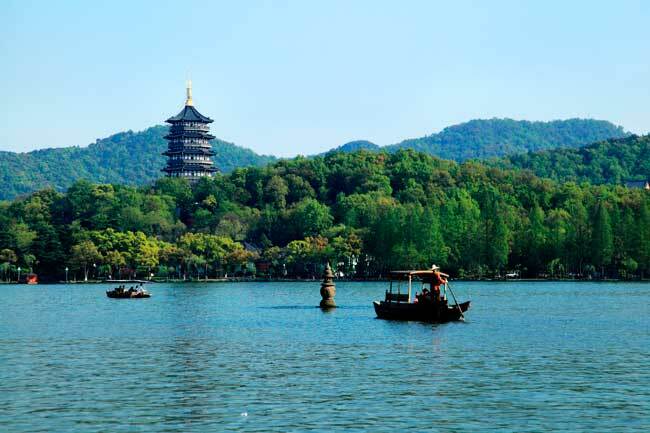 The West Lake is the major attraction and most recognizable natural scenario of Hangzhou, included into the UNESCO World Heritage Site list. It is the 10th busiest airport in China in terms of passengers and also considered as a garden airport given the green surroundings, especial the flower gardens existing within the airport facilities. Hangzhou Airport handled 31,594,959 passengers in 2016.
International Terminal A: The International Terminal A in Hangzhou Airport is home of all international flights, including the ones from and to the special administrative regions of China. Domestic Terminal B: The Domestic Terminal B just serves the domestic and regional flights within Zhejiang province and the rest of the country. Note that the flights from and to the special administrative regions are hosted in the International Terminal A. Bus: A large number of bus services serves Hangzhou Airport. It is the main transport option to not only get to the city centre, also to the surrounding cities. Train: Though Hangzhou Airport isn’t connected to the railway service, there are several ways to get to any of the three main railway stations in Hangzhou. Taxi: It is fairly easy to get to Hangzhou city centre by taxi – you can get there within 35 minutes. Car rental: To freely explore Zhejiang province, just rent a car in Hangzhou Airport. You can also book your car online through our searching engine. Hangzhou is the capital and the largest city of the Zhejiang province, which is located in Eastern China. The main and most recognizable spot of the city is the West Lake, included into the UNESCO World Heritage Site list. It is known as one of the most beautiful cities in China given its ancient vestige and natural beauty, especially due to the West Lake, a scenario covered not only by the beautiful lake, it also contains pagodas, Leifeng and Baochu pagodas, and the Phoenix Mountains. At the west of the lake, you can delight your eyes with the pretty Longjing tea fields, where the world-famous Longjing tea has its origins. Among its natural beauties, Hangzhou also features for its historical and cultural heritage, highlighting its large number of temples: Jingci Temple, Lingyi Temple, Yue-Wang Temple, and the residence of Hu Xueyan.